HORSHAM, PA--(Marketwired - May 17, 2016) - Human Resource Executive® magazine, the premier publication focused on strategic issues in HR, today announced that Barry Libert, digital board member, CEO advisor, angel investor and co-author of the upcoming book, The Network Imperative: How to Survive and Grow in the Age of Digital Business, will present the opening keynote at the 19th Annual HR Technology Conference & Exposition®, taking place Tuesday, October 4 through Friday October 7, 2016 at McCormick Place in Chicago. "The HR Technology Conference addresses the top challenges facing HR professionals, and offers the leading-edge insights and solutions to help solve them," said HR Technology Conference co-chair Steve Boese. "For today's businesses, the need to adopt a more digitally-connected environment is one of the most pressing imperatives, and HR is often tasked with playing a lead role in making this shift. We are thrilled to welcome Barry Libert to keynote the event and look forward to hearing his ideas on how businesses can manage this large-scale transformation -- and the role that HR can and should play." During his keynote, "The Digital Imperative: How Networks and Platforms are Transforming HR's Agenda," Libert will explore how technology continues to change what we do, how we do it and who gets rewarded. Leading a rapid shift in the way business is done today, digital networks produce unprecedented insights and returns with less investment; yet most businesses fail to embrace them effectively. The challenge for these organizations isn't a question of whether they need to change, but rather how much and when. Libert will not only explain why change is necessary, but more importantly, address what kinds of changes are needed and the role HR and HR technology leaders must play to bring about positive transformation. "HR has an immense opportunity to be the catalyst for change across their organizations, preparing their teams to embrace the ongoing technology revolution and attain full benefit from digital networks," said Libert. "Key to success is for HR to become familiar with the tools and technologies that can facilitate the transition and empower them to drive change. I am excited to share with the 2016 HR Technology Conference audience how HR professionals can equip themselves to be the leaders their organizations need in the new digital age." Designed to present the latest trends and technology to emerge in the HR space, as well as the traditional challenges keeping HR professionals up at night, the HR Technology Conference provides insight into with how technology can enable organizational success. For nearly 20 years, the event has sought to explore and provide solutions to the issues changing the way work and HR get done. With one of the biggest changes being the continued shift to digital and its impact on HR, Libert's keynote provides a timely look at how to solve this challenge and emerge successfully. 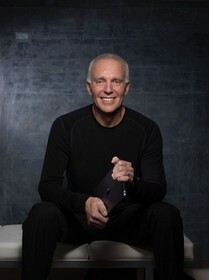 Digital board member, CEO advisor, angel investor and author Barry Libert will present opening keynote at 19th Annual HR Technology Conference.